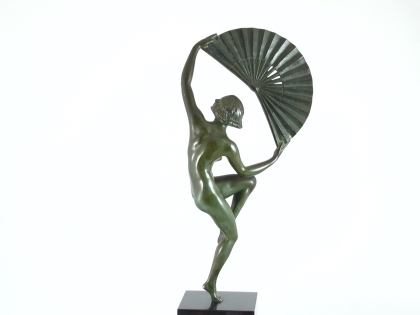 A stunning Art deco bronze figure of a naked female dancer standing on one leg and holding a large fan decorated with birds above her head. 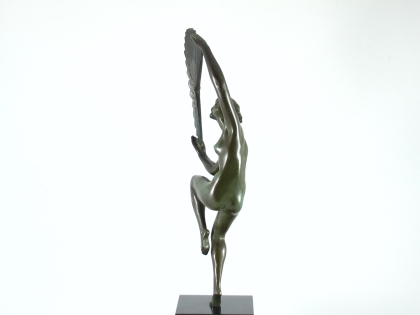 Exhibiting an excellent patina this finely cast and detailed hand finished bronze figure is by the well known Art Deco sculptor Marcel Bouraine and is signed Bouraine in the marble base. 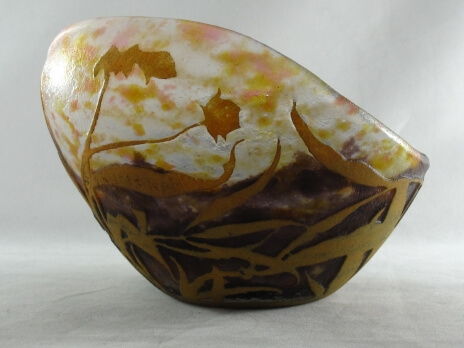 This piece would enhance any collection. Marcel – Andre Bouraine (1886-1948) Born in Pontoise, France, he was self-taught and also studied under Falguire in Paris. He was taken prisoner by the Germans during the 1914-1918 war and was interned in Switzerland where he produced several monuments. 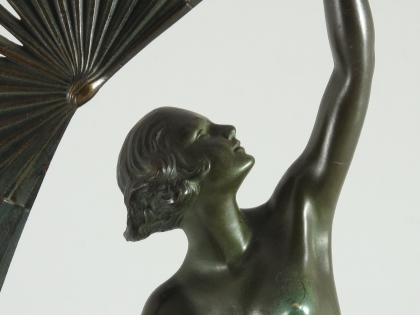 He also exhibited at all the main Paris salons including the Salon des Artistes Francaises and was a member of the Evolutions Group After the war he worked until 1935. 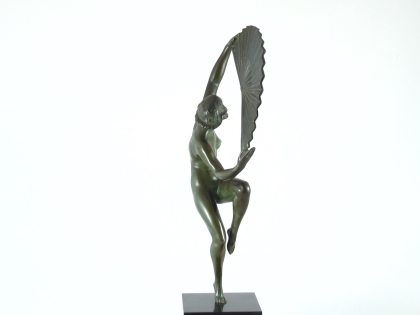 Bouraine also produced designs for glass statues which were produced by Argy-Rousseau during the 1930. 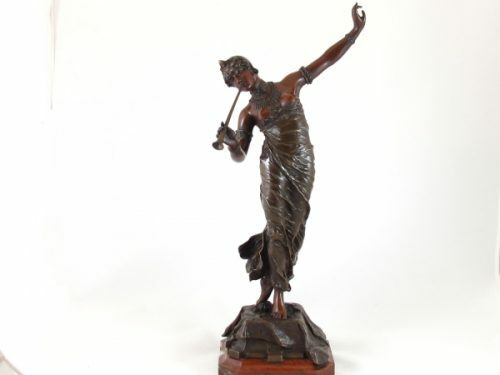 Best known for his chryselephantine figures he also made full bronzes and figural groups, many with a classical theme – like Diana the Huntress or his famous Amazonian Diana with shield and spear. 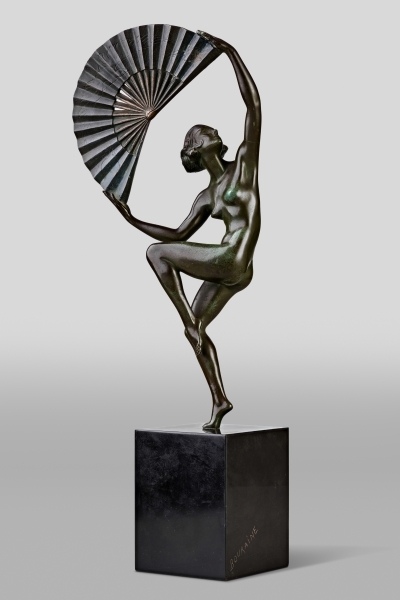 Bouraine used a pseudonym which was Derenne and he may also have used Briand (Brian), as there is a definate connection between the two as can be seen in the hoop dancer by both artists, which appears to be identical. Marcel Bouraine was a lifelong friend of Max Le Verrier and Pierre Le Faguays who all studied together at the Beaux Arts in Geneva. 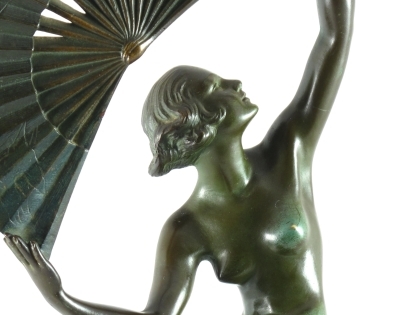 Later the Le Verrier foundry was to produce many of the Bouraine statues for him. 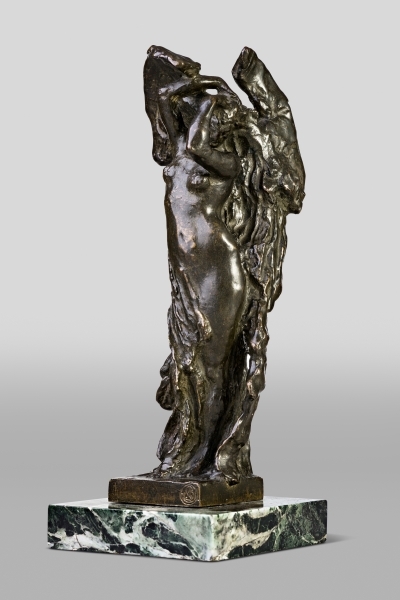 His works are included in many major Museum and private collections throughout the world. 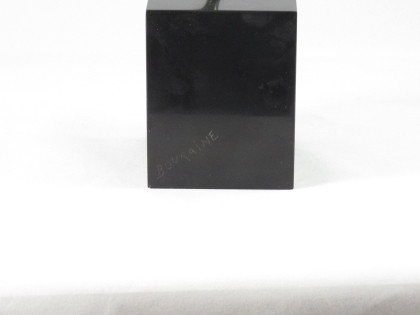 For more information on Bouraine please see the Artist page.